You really should be using two factor authentication for your online accounts; a browser exploit or malware could get your passwords, and with two factor enabled, your password won't be useful to them. It's not as much of a hassle as it sounds because you will only be asked for a One Time Passcode (OTP) when logging in from a new device/browser. However, though two factor authentication is great, it stops being fun when you lose your phone. Though some like Google provide one-time recovery codes, many do not, resulting in possibly losing access to your account if your lose your phone. This article talks about backing up your OTP database on Android, so you can confidently enable two factor authentication without worrying about relying on one physical device forever. Google Authenticator, as of writing, does not let you backup it's database unless you have root access to your phone. In any case, even if you have root, it's a bother rooting a new phone to just recover the backup. This involves backing up via USB/ADB. You need to enable USB debugging on your Android phone (Settings->About (at/near the end)->Software Info, and then tap on "Build Number" seven times), and then set up ADB. On Fedora, this is surprisingly extremely straight forward with newer releases (23+), it's pretty much plug and play after a dnf install android-tools. In any case, after installing adb, first check if your distro automagically set things up by connecting your Android phone to the PC via USB, and typing adb devices. If you see a device attached, then things are going to be extremely easy. If not, you will have to google on how to get adb working with your distro/OS. It will prompt you to unlock your phone, and if your phone is encrypted, will ask for your encryption password that you would enter on your phone. The backup finishes almost instantaneously. Your home directory should have a file called android-org.fedorahosted.freeotp.adb , that you should keep safe and (securely) backed up offsite. If your phone is unencrypted, you could possibly use freeotp-export to generate QR codes using this adb backup so as to allow FreeOTP or even Google Authenticator on another device be able to generate your tokens, but since my phone is encrypted, I did not have luck with that. In any case, it's best keeping the backups offsite in case your house catches fire and burns all your devices down. There will be a scary prompt asking for confirmation for a "Full Recovery", but don't worry, since your .adb file is tiny, it will only restore the FreeOTP DB and nothing else. If your backup is encrypted, the phone will ask you for the encryption password of your old phone. In my case, testing with a OnePlus, the restore seemed to hang, but it didn't matter, pressing the Home button and starting FreeOTP showed that the restoration was successful; and you can just yank the cable off. 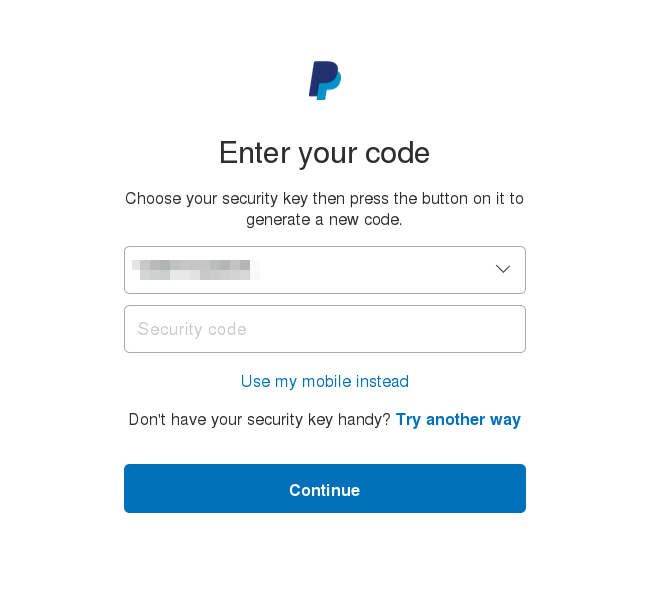 Enabling two factor auth with PayPal seems extremely confusing; most of the articles linked by PayPal on enabling it lead to 404 errors. 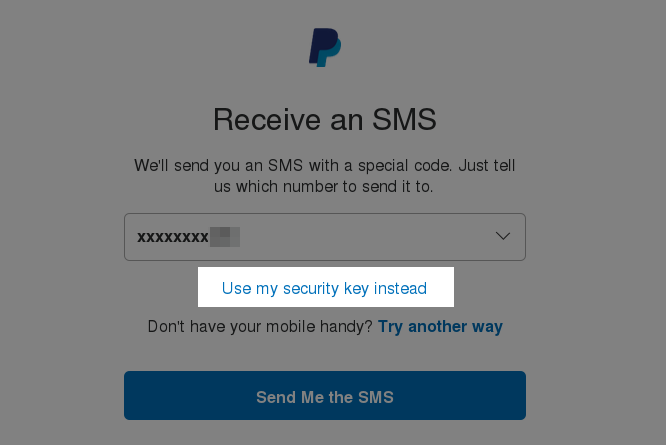 The obvious option when you try to enable it is them sending you an SMS with a token. However, I have heard horror stories of people not receiving the SMS (especially in Australia), and in any case receiving SMSs may not work if your phone/SIM is lost/stolen or if you are in another country with a different SIM. Now, the option they probably want you to use is the Symantec VIP access app; but you cannot seem to back up the Symantec app, so it'd be useful to have it under your FreeOTP backup plan. Though PayPal doesn't officially support Google Authenticator/FreeOTP, someone called cyrozap reverse engineered the protol, and wrote an absolutely wonderful python app to allow you to use PayPal with FreeOTP/Google Authenticator. 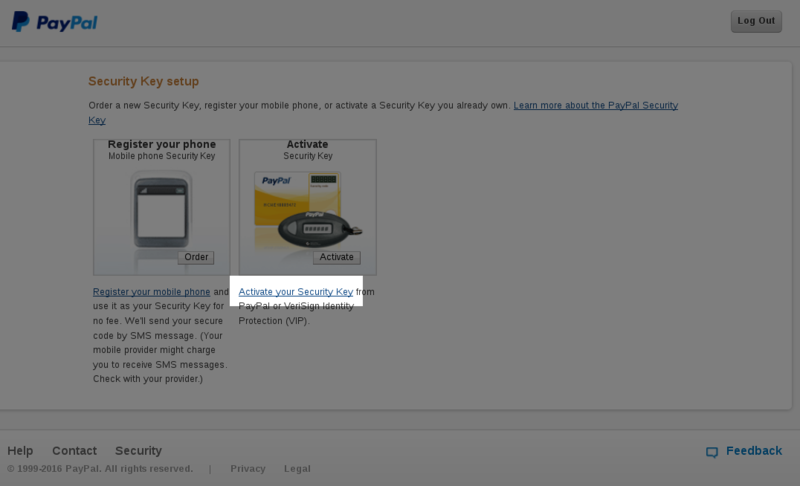 There's nothing stopping you from using the Symantec app in parallel to FreeOTP, so feel free to have both. Assuming you have your development packages installed, it's easy getting it to work. Just install 'pip' (Fedora: dnf install python-pip) and then do a pip install python-vipaccess. Assuming there are no errors, you should be able to then run vipaccess without any arguments. This generates a QR code, which you can scan via FreeOTP/Google Authenticator. It will appear in your OTP list as "VIP Access". Your FreeOTP/Google Authenticator should have a serial number mentioned for your "VIP Access" token which would look like "VSST1234...", type that as the Serial Number. Then get a token via FreeOTP/Google Authenticator, and enter the 6-digit code, and repeat it again when you can get a different 6-digit token. After you click on Activate, it should start working. so repeat these steps again to enter your mobile number, as well as the Symantec app if you wish.